Some Western observers call China's investment in developing and less developed countries "debt-trap diplomacy," which works in theory by offering cheap infrastructure loans and then taking over strategic assets if countries default on their debt payments. China is becoming more involved in infrastructure projects in South America, and the US has expressed rising concern over the risk of debt traps. To gain insights into the situation, Global Times (GT) reporters Hu Weijia and Bai Yunyi talked to Yin Zhixin (Yin), general manager of the project by China Machinery Engineering Corporation (CMEC) to help revamp Argentina's Belgrano Cargas Freight Railway. GT: Argentina has a relatively high portion of its debt in foreign currency. How much risk does Argentina face in terms of falling into a "debt trap" while the country tries to overhaul its transportation infrastructure? Yin: Most developing and less developed countries in the world have either reached or far surpassed their debt ceilings as evaluated by the IMF or World Bank but remain stable in economic terms. There is huge demand for infrastructure investment in emerging economies. These countries want to upgrade their infrastructure and develop, so we have our own standards in offering loans and are confident about the solvency of the creditors. As for Argentina, its economic difficulties are not as bad as people imagine. Agriculture exports can bring in foreign currency and help the country to pay back its foreign debts. The country is also taking a very cautious approach to borrowing money. Trains in Argentina currently run at an average speed of only 50-60 kilometers per hour because the government has been unable to upgrade the railway system. We believe Argentina is capable of repaying its debts and won't fall into the so-called debt trap. It's the main premise for investment, because we don't want to lose money. GT: Investing in infrastructure like railways is always a long-term objective. 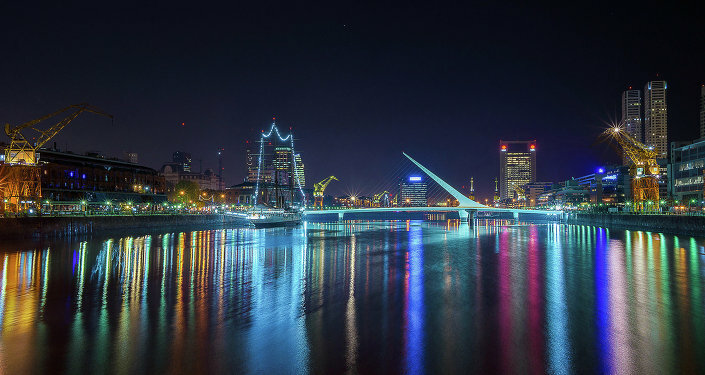 Will you take into consideration Argentina's debt repayment ability over the long run? Yin: The Belgrano Cargas Freight Railway runs across the country's grain-producing areas, extending to the Rosario port, which is the starting point for the majority of Argentina's agriculture exports. Before the overhaul of the railway, agriculture products were transferred by truck, but the high cost of transportation resulted in low international competitiveness. Some farms have been abandoned in Argentina because of this inconvenience, but the Belgrano Cargas Freight Railway can revitalize those areas. The railway is more economical than road or air transport, so it will enhance Argentina-made products' competitiveness in the global market. Agriculture is the main economic sector in Argentina and the main contributor to the country's foreign exchange reserves. The government has done a feasibility study for the railway project and believes it can play a positive role in revitalizing Argentina's economy. We have confidence in Argentina's debt repayment ability in the long run. GT: How do you view the speculation saying that China is using the overhaul of the Belgrano Cargas Freight Railway as a tool to grab mineral resources in Argentina? Yin: After the overhaul, the new rail line will run through some areas that are rich in mineral resources, but the mineral wealth has remained largely unexploited. How can China grab those resources just by building a railway? As we know, some Western companies operate in Argentina to exploit the mineral-rich areas. If analysts think someone is grabbing mineral resources in Argentina, they should focus on Western firms. GT: What do you think of the rivalry between Chinese companies and their Western counterparts in Argentina? Yin: Chinese and Western companies doing business in Argentina focus on different areas of the country. Western firms are especially good at operating in Argentina's agriculture sectors while Chinese ones focus more on infrastructure. Investment from China is one of the few ways Argentina can get financing for the infrastructure it so desperately needs, partly due to various concerns expressed by Western countries about Argentina's infrastructure and the cost advantage of Chinese companies. GT: Some observers believe some people in South America are pro-US. What do you think the impact of a pro-US government would be on China's infrastructure investment in South America? Yin: Pro-US sentiment is not a big concern for Chinese infrastructure investment in South America. China has been an important trade partner for South American countries, and Chinese companies are bringing jobs, tax revenue and business opportunities to those countries. Even a pro-US government would recognize that. For instance, the Belgrano Cargas Freight Railway project has directly created 3,000 jobs for local people. The project can survive even if there is a pro-US government. However, we should not be over-optimistic. Continuity of policy and the lack of skilled workers remain two major obstacles for Chinese infrastructure investment in South America that we should pay attention to. Views and opinions expressed in this article are those of Yin Zhixin and do not necessarily reflect those of Sputnik. This article was originally published in Global Times.